Spring is right around the corner. Are you prepared? OK, so maybe you’re still trying to adjust to winter and the last thing you’re thinking about is what you’re doing in a few months. However, you should be thinking about it for at least one reason: Allergies. Numerous allergy sufferers sneeze and wheeze, but instead of visiting a doctor they purchase over-the-counter medicine. This is a mistake! While this medicine is generally safe, that doesn’t mean it’ll work for you. It’s best to talk with an experienced allergist or professional who can help you better understand your allergy symptoms and present strategies to combat them. This approach will not only save you time and money, it’ll also keep you healthier! Don’t wait until spring arrives to start taking allergy medicine. If you do, your body won’t have enough time to adjust to it. 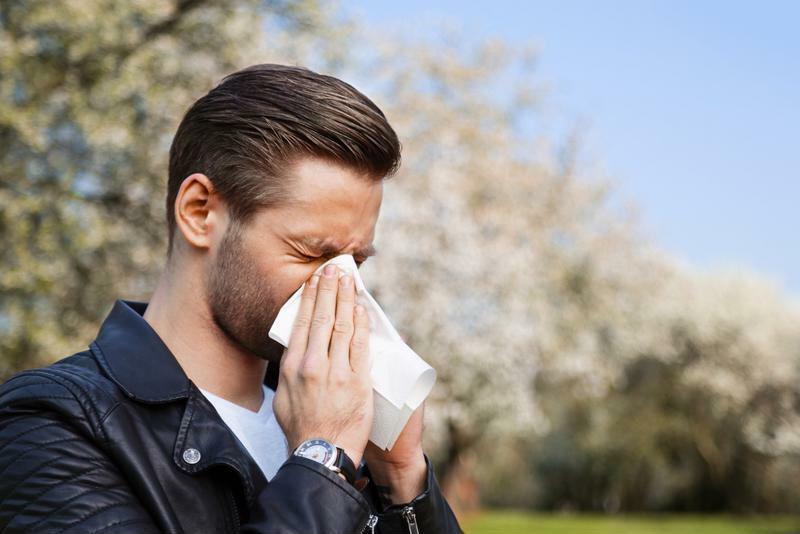 Jaime Landman, M.D., president of Florida Center for Allergy and Asthma Care in Miami noted, according to Everyday Health, that people need to begin their allergy regimen early in the year before they typically start suffering from allergies. Sublingual immunotherapy, commonly known as SLIT, is an alternative allergy medication for people who’d like to avoid over-the-counter treatments or uncomfortable allergy shots. SLIT isn’t injected into a patient. Instead, a certified professional administers allergenic substances, which patients then take orally on their own. Another benefit of SLIT therapy is the length of time between treatments. It lasts for around two to three years. The therapy’s goal is simple: To help a person’s immune system better defend his or her body from allergies. Of course, like any allergy medication, it’s critical you conduct other allergy-fighting activities to manage symptoms. One of those is preparing your home, which we’ll discuss in the next segment. Allergy season can be miserable. Prepare for it now. You can take your allergy medicine consistently, but if your home isn’t free of dust and dirt, you’re setting your regimen up for failure. Tear up old rugs that are safe havens for dust, dust mites and dirt. Wood floors are much easier to clean, anyway. Dust and wash down all counters and furniture. Cut down the amount of electronics in rooms that you spend a lot of time in. Electronics attract dust, often much faster than you can clean them off. Change your air conditioner filters frequently. If these get clogged, you’ll be hit with a cool breeze of dusty air. Wash clothes you don’t frequently clean, such as jackets, gloves and hats. We also recommend cleaning off your footwear. Change your exercise routine: If you like to exercise outside in the morning, but this is when you have the most severe allergy reactions, try working out at night. Work from home: Ask your boss if you can work at home when pollen counts are high. If he or she would like to put a more definitive schedule in place, ask them about working remotely 1 to 2 days a week when pollen counts reach peak level. Make your bedroom allergy-free: We could have placed this suggestion in the fourth section of this article, but it’s more appropriate here for one reason: People spend a good portion of the day in their bedrooms (upward of 8 hours, according to the Bureau of Labor Statistics). This means they’d likely consider it a lifestyle change to make any alterations to this portion of their house. Use allergy-free bedding materials, or zip up your box spring and mattress in dust-proof covers. Remove carpeting, blinds and other upholstery that can collect dust. Wash off furniture, and even remove objects from your room that attract dust and dirt. There are many ways to help manage your allergies, but don’t wait! Talk to a professional at Longevity & Stem Cell Centre today for more information about our SLIT technology.